PCB boards have several surface finish technologies, they are bare board-without any surface treatment, rosin board, OSP-organic solderability preservatives, slightly better than rosin, HASL-lead or HASL-lead free, Au plating board, immersion gold board, etc. In this article, we briefly introduce the difference between immersion gold and Au plating. Immersion gold is a chemical deposition method generally generating a thicker coating by chemical redox reaction. It is a chemical nickel layer deposition method thus it can achieve a thicker gold layer. While Au plating uses the principle of electrolysis, also known as plating. In actual product applications, 90% of the gold board is immersion gold board, because poor solderability is Au plating’s fatal disadvantage, that’s why many PCB companies give up this method. Nickel gold coating is deposited on the PCB surface during the immersion gold process, and the coating has good properties like stable color, good brightness, flat coating, and good solderability. Basic immersion gold thickness is between 0.025-0.1um. 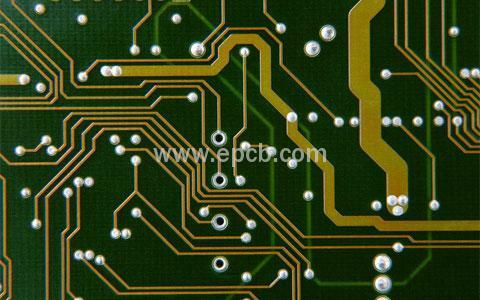 Gold is applied to the surface finish of PCB board thanks to its strong electric conductivity, good oxidation resistance and long service life. It is always used in the applications like key boards, gold finger boards, etc. The fundamental difference between the immersion gold and Au plating is that the Au plating forms hard gold which is wear-resistant, while immersion gold forms soft gold which is not wear-resistant. 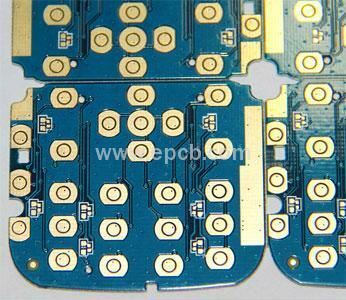 At present, most PCB manufacturers have adopted the immersion gold surface finish to produce gold boards. However, immersion gold process with higher gold content is more expensive than Au plating process, so there are still a large number of low-cost products like remote control boards, toy boards, etc., using the Au plating process.